Even though I miss the sun and sand in Bali I've been so happy about being back home in Paris. 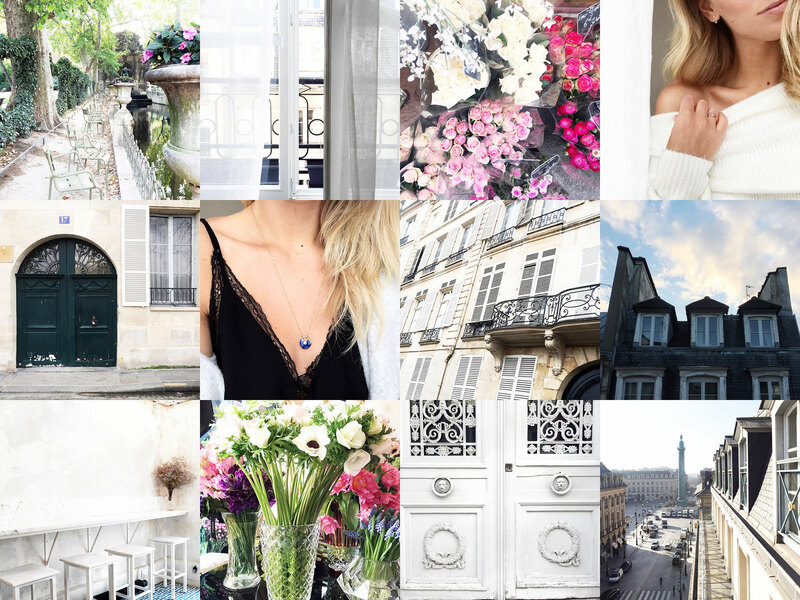 The last couple of days have looked something like this: dreaming about when the leaves grow back on the trees in Jardin du Luxembourg, looking out my Parisian window, colourful flowers at the Parisian flower shops and wearing all the cosy jumpers I can find in my closet. Being reunited with my love for Parisian doors, showing off a tiny bit of what's left of my tan (and my favourite Cartier pendant), drooling over Parisian facades and enjoying every single sunset. Early morning coffee at Ob-La-Di, attending wonderful events where we could make our own flower bouquets, appreciating the Parisian greys and taking in that gorgeous Parisian light.